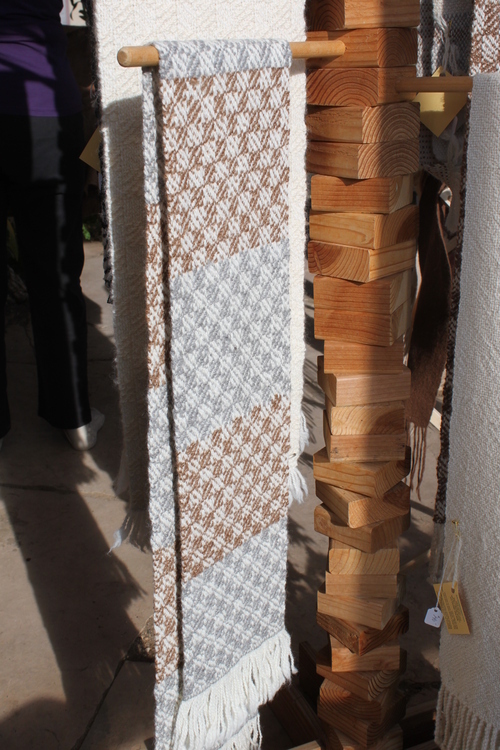 Woven from finest alpaca from alpacas in our herd. 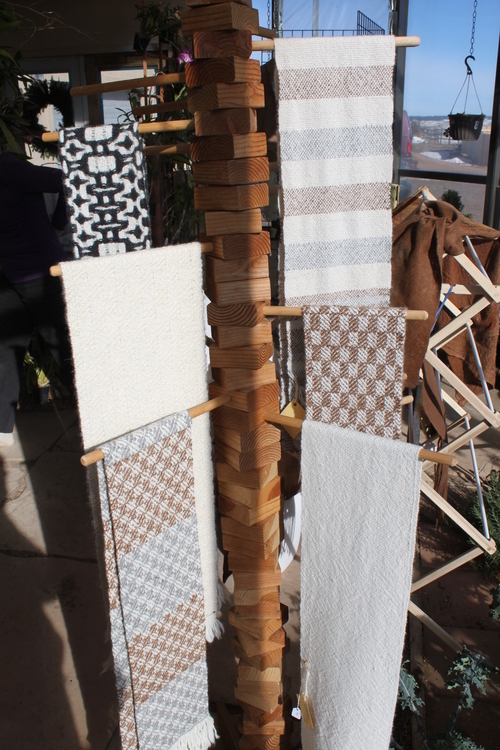 The yarn was spun by Shepherds' Mill to Bhakti's specifications. These unique scarves were woven for Wild Hair Alpacas by Peter's sister, Bhakti Ziek. Bhakti is an internationally known weaver who teaches weaving around the world. She has work in the permanent exhibit of the Museum of Arts and Design in New York City. 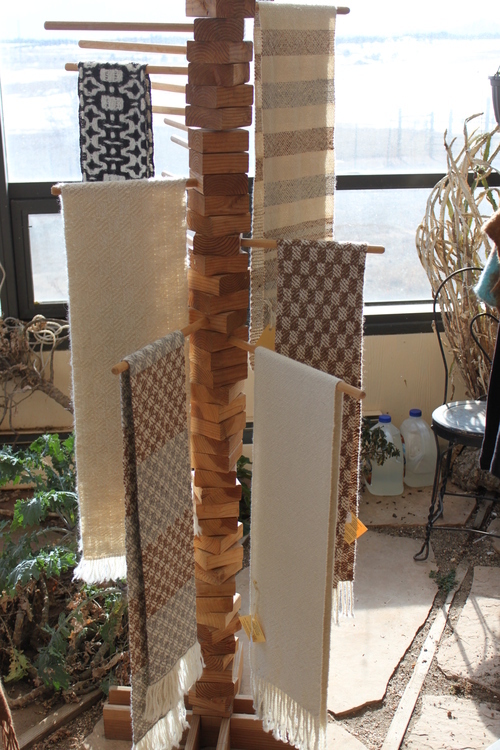 She recently completed a permanent installation at Princeton University consisting of six complex sixteen foot weavings. To learn more about Bhakti, go to www.bhaktiziek.com . * There are now three scarves available, so call to find out if your pattern is still here.